I really liked it. Elsa looks beautiful in her new outfit, and Anna with her hair down is super gorgeous. The scenery and visuals and the animation all look very promising. The teaser has become the #1 most-viewed animated movie trailer in 24 hours and the #12 overall. Wow, I loved the teaser. Yes, Elsa looks gorgeous, still. My first thought of Elsa trying to cross those waves is that she somehow must've been stranded somewhere after a shipwreck or something. But with all the talk about the symbols and mention of the fire, maybe she has to go through some kind of trial and face the other elements? Would be interesting if this was something imposed on her by some mysterious figure(s) in response to the fact that she nearly caused mass death in the first film because of her lack of control. I wonder if the yellow-haired guy in the picture Sotiris posted (taken from the trailer) might be related to Kristoff in some way? We don't know anything about his family or where he comes from. It's possible that could relate to the plot in some way (small or big). I guess that teaser accomplished all that they wanted, considering. speculation running rampant on Tumblr, some interesting, some farfetched. Anna and Elsa seem to be stranded somewhere and separated from each other at a location that's very different geographically from the Autumn-mish temperate forest they are exploring in other parts of the trailer. This mystery place, with its stormy sea and jagged black rocky coast is very similar to the description of what the Southern Isles looks like in the book Frozen Heart. I know that book's not confirmed as canon, but its interesting nonetheless. The pants are anachronistic and a crappy attempt at feminism but not too distracting. The movie looks beyond great so far. yeah definitely, but really the costuming is all over the place as far as the time period is concerned. As Ive stated in a previous post here, their outfits borrow elements from much earlier 1800's dress and later early 1900's Edwardian era fashion. Nothing about these two outfits say 1840's to me(unlike their coronation gowns from the first film). I still sorta like them though. I would love for this to be the case. The 90s parallels are probably why this trailer has been so popular! I'd love for that possible spoiler to be the case. I was looking throughout the trailer for potential signs. I've loved Anna's new costume since I first saw it. I wasn't fond of Elsa's pants much, but when she strips off the overcoat during the beginning of the trailer, she looks much better. I think the looser hair suits her overall ensemble more than the tightly wound braid does as well. So, I loved the teaser! But, I am so intrigued about the concept. This seems to be a epic story. If I had to give a guess, I believe the concept of the 4 seasons will factor in this story somehow. This would harken back to the Snow Queen fairy tale, where her sisters each represent Summer, Spring, Fall. The seasonal sisters aspect is actually from the 2002 Hallmark movie of The Snow Queen. You're awesome unprincess for being into costumes and clothing like I am! Lol I hate regency fashion but I looked at your examples and the first Edwardian one is gorgeous. I can see the similarities in those costumes and the ones in Frozen II. I was thinking the pants might work in the way Coco Chanel wore pants when she was a young women in a scene in a TV movie about her, but I think that was just one time or very rarely, I don't think that was ever copied by others, and that was in like the very early 20th century anyway. So Disney wtf no pants for the girls! I think the pants work because it's balanced with an overcoat. The pants in the Broadway look awful and bizarre because it wasn't paired for a composed look. It looked like someone couldn't finish a Project Runaway dress and used blue leggings in place of a skirt. Those geographical features are specific to Scandinavian coasts. But another Youtuber, The Theorizer, assumes that there are other element benders who might have kidnapped Elsa's parents, and now those benders have trapped Elsa on that island. In Italy the sequel is called Frozen II: The Secret of Arendelle. Could this be the US title as well but they chose not to reveal it yet? aww thanks! I'm glad someone looked through those links b/c it took me some time to get them organized lol. Yeah I'm a total costume nut!... though I am certainly no expert(at all!) there's sill so much I'm not knowledgeable of... I learn something new every day. I'm currently really into Victoria on PBS and that show just happens to be set in the same time period Frozen is supposed to be in, so Ive become aware of how glaringly anachronistic many of the outfits in that franchise have been(OTOH the male fashions are spot on, huh.) But I give Disney some slack b/c they've had anachronistic costuming in their films ever since Walt's day. Cinderella's iconic dress is totally 1950s style, when the movie looks like its mid-late Victorian set. And Snow White hair is completely a 1930's starlet bob. I do hope we get to see the sisters in some kind of more time appropriate costuming in this film, even if its only for a short scene. I'm currently really into Victoria on PBS and that show just happens to be set in the same time period Frozen is supposed to be in, so Ive become aware of how glaringly anachronistic many of the outfits in that franchise have been(OTOH the male fashions are spot on, huh.) But I give Disney some slack b/c they've had anachronistic costuming in their films ever since Walt's day. Cinderella's iconic dress is totally 1950s style, when the movie looks like its mid-late Victorian set. And Snow White hair is completely a 1930's starlet bob. I don't know if you've seen them, but Deviantart is filled with some great historical/Victorian designs for Elsa and Anna. Mainly Elsa's coronation gown. They're fun variants of her look which you might prefer since I doubt Disney will ever go that route, especially not when Elsa's every outfit has to be a close variant of her ice dress. But I give Disney some slack b/c they've had anachronistic costuming in their films ever since Walt's day. Cinderella's iconic dress is totally 1950s style, when the movie looks like its mid-late Victorian set. And Snow White hair is completely a 1930's starlet bob. So true. These films are created with the modern audience that consumes them in mind, which is why they are mostly in vogue with the times. Who cares if they’re accurate to the past when the entire thing is a fantasy anyway. Frozen isn’t the first and certainly won’t be the last Disney film to give the finger to accuracy. I don't know anyone sane who actually cares that much about Elsa wearing pants. ^I know, they probably try to modernize the outfits and hair styles so audiences don't think their watching a "boring history lesson." Makes me appreciate the films that did try to be more accurate like Beauty and the Beast, Sleeping Beauty, Hunchback, Pocahontas and Princess and the Frog. yes Ive seen a lot of that fan art, gorgeous stuff! and yes they need to get her out of that long sleeved slit cocktail dress (and variatons of it) already! She should look more like a queen! To be fair, Aurora's outfits and overall design are very much 50s inspired as well. Belle's golden ballgown has far more in common with a Victorian dress than anything from the actual time period. Even the rest of the BATB characters have looks that are sort of just plucked from any decade in the 1700s rather than one specific time period. Hunchback is more accurate than these two, but Esmeralda's design is very much anachronistic as well. It's more based off of what Victor Hugo saw other Romani people dressed up as rather than how they actually would have looked in medieval times. Awesome, unprincess! I am always learning too, but am no expert as well! By the way, Cinderella's gowns all reflect the Victorian period and just share commonalities with the 1950's. Her silver ballgown is a combination of 1860's skirt with 1880's everything else. See the Cinderella Discussion thread for more on that, I talked quite a bit about it on like the second to last page. I would say only her work rags are more 1940's, but I do know for sure. Sotiris, I would like to officially report Disney's Divinity for a personal attack. I said Anna and Elsa shouldn't be wearing pants, showing I cared, and he said he didn't know anyone sane who cared about such a thing. I only saw your post via unprincess quoting you—unfortunately. You aren’t the first person who has talked about Elsa wearing pants in this thread, in the Frozen musical thread, or beyond this forum, and my post wasn’t specific. If I wanted to refer to you, I would have quoted you. Although if you’re wondering if I doubt your sanity, then I’d say you hit the bull’s-eye. 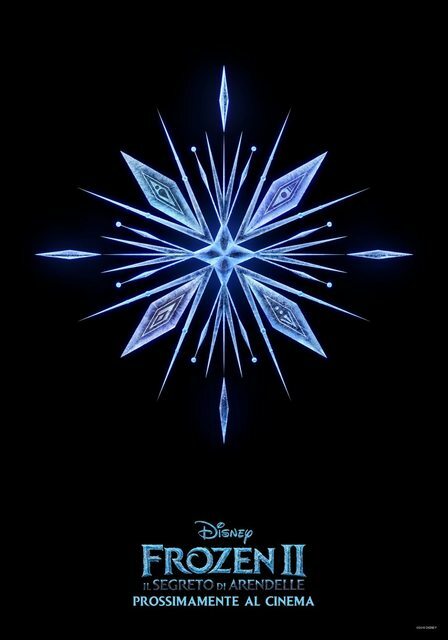 I watched the teaser a few more times and I feel there's something off about it like it doesn't give me "Frozen" vibes, it feels more like it belongs to a different world and the Frozen characters were tacked on it. Does anybody feel the same or is it just me? I think the original film showed how brave these characters are. I believe that Anna would search for Elsa, and vice versa, and that Kristoff, Sven, and Olaf would assist, absolutely. And I think that there is a lot of "mystical" backstory that should be explored (magic powers, trolls in the first).